Best known for his documentaries such as Drifters, North Sea, and Housing Problems, John Grierson was the most important figure in the British documentary film movement and one of the most influential of British film theorists. This major assessment of Grierson and the documentary film movement examines the intellectual and aesthetic influences on his work, focusing on the material he produced in the inter-war years and comparing the idealistic strain of Grierson’s social commentary with other social reformists such as the Next Five Years Group and writers like Orwell and Priestley. 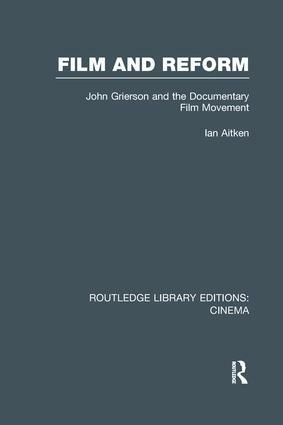 Underlining the link between film and reform, the book clarifies the meaning and significance of Grierson’s ideas and the historical role of the documentary film movement. Originally published in 1990.